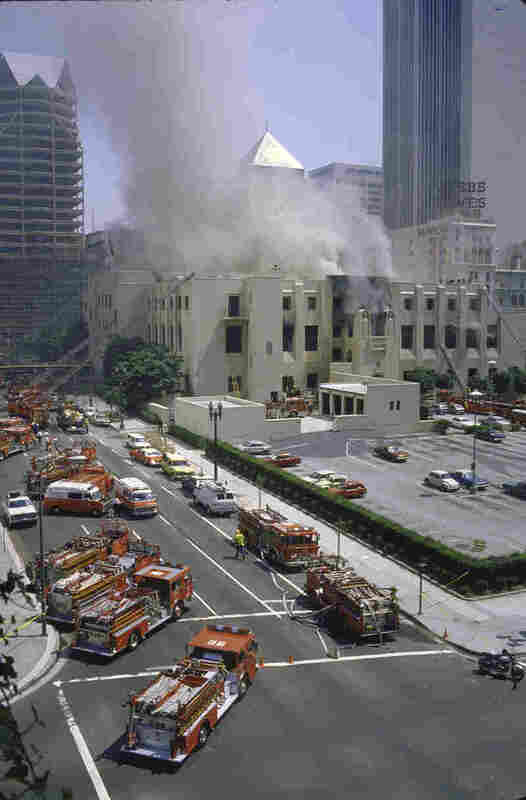 Mystery Of A Massive Library Fire Remains Unsolved After More Than 30 Years On April 29, 1986, fire tore through Los Angeles' Central Library — more than one million books were damaged or destroyed. Susan Orlean tells the story of the suspected arson in The Library Book. Smoke engulfs the Los Angeles Public Library on April 29, 1986. 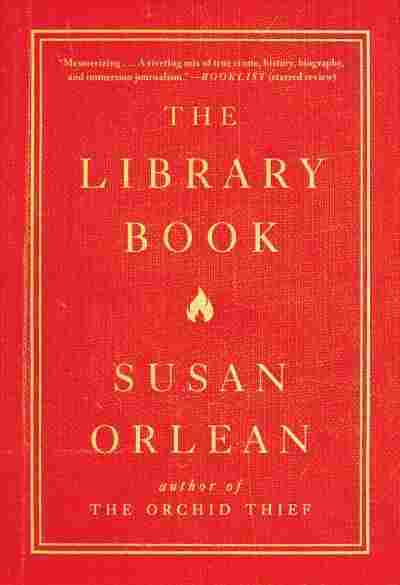 Susan Orlean tells the story of the fire in The Library Book. The fire led to a seven-year closure of the Central Library which was devastating for the employees. "Many of them suffered terrible anxiety and depression over the idea that they were no longer serving their patrons," Orlean says. "The city hired a psychologist to meet with the librarians because they really were traumatized." They were grieving not only the physical loss, but years and years of work. Librarians carefully curate the materials in their departments, Orlean says: "They build the collections from their own interests and knowledge. ... Many of them are books that can't be found anymore. So for these librarians it was absolutely devastating to see the books destroyed." Investigators began to suspect arson, and focused their attention on a young man named Harry Peak. Tall and blond, he aspired to be an actor — stage fright aside — and, as Orlean says, "He really captured that desire and that questing for being noticed." Peak gave no fewer than seven alibis for where he was the day of the fire. "He had an almost compulsive need to spin yarns," Orlean says. "Everything in his life became a story ... He had to somehow project himself into the middle of this dramatic event. ... He had many, many different versions of his whereabouts that day." Peak was arrested but not indicted. "Many people in the city and many, many firefighters were absolutely convinced that he had started the fire," Orlean says, but nothing has ever been proven. The Library Book isn't intended to solve the crime, but rather — to explore its story. Orlean isn't certain that this decades-old mystery will ever be resolved. Monika Evstatieva and Viet Le produced and edited this interview for broadcast. Beth Novey adapted it for the Web.